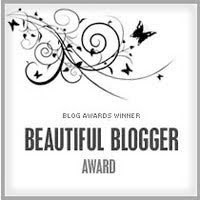 While I was away Teresa Ashby nominated me for the Beautiful Blogger Award! Thanks Teresa. This is where I’m suppose to list ten bloggers to pass the award to but I’m behind on the times so I nominate everyone! Kerrin Hearfield also nominated me for the 5-5-5 tag: five questions, five answers, five blogs to tag. Question 1: Where were you five years ago? 3.) I was working two jobs (one of which had split shifts… got to love those). 5.) There was more of me to love despite all the running around (There’s a wee bit less of me now so that’s something). Question 2: What is (was) on your to-do list today? 2.) Trying not to fall flat on my face when I transfer from crutches to the wheelchair. Question 3: What five snacks do you enjoy? Question 4: What five places have you lived? Question 5: What five things would you do if you were a billionaire? 3.) Buy a huge piece of land and build two storey home with stables (I should probably mention I’ve never been on a horse). 4.) Give money to the family. 5.) Set up a foundation that provides children with the opportunity to hear via cochlea implant and which contributes toward research. I haven’t been able to keep track of who has been tagged and who hasn’t so I’m nominating anyone who’d like to do the 5-5-5. Thanks again Teresa and Kerrin! Ah wee problem with the surgery. I’m allergic to more pain medication than we thought so my “pain management plan” bit the dust and I’ve been whimpering in a corner for the past couple of weeks. I can’t believe it’s been weeks, but my calendar assures me it’s true. In addition to my whimpering I’ve relearnt to use crutches and some poor soul took pity on me and hired me a wheelchair. That took a bit of practice especially since there are some squeezy bits in the house. You know what’s really great is having someone (a perfectly healthy someone) quote “what doesn’t kill you makes you stronger” several times a day. No I didn’t kill them but they tempted me… boy did they tempt me. I exchange my plaster slab for a moon boot tomorrow. Moon boot. Here’s to hoping that it’s as much fun as it sounds. Somehow I doubt it. I did manage a wee bit of writing, but for a while there I felt like I was going backwards. The word count just kept shrinking. It’s back up at 11,000, although that will probably stagnate for a week when I rediscover walking. Not that I’m eager to give up my couch potato status. I’ll be slipping around all of your blogs today, defying the doctor’s orders to keep my ankle somewhere above my head.